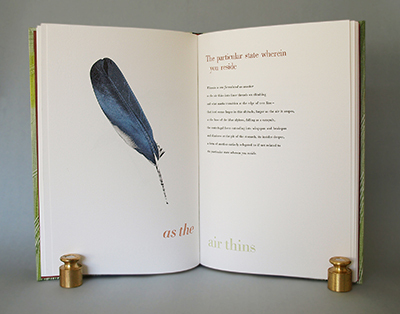 Rebecca Chamlee is a book artist, graphic designer, printer, writer and bookbinder who has published innovatively designed, letterpress printed, hand-bound, limited-edition fine press and artist’s books under the imprint of Pie In The Sky Press since 1986. 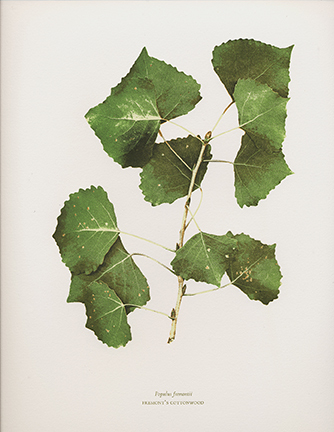 Like the self-taught naturalists of the Victorian era, Rebecca’s recent work examines the intersection of her artistic and scientific interests by collecting and cataloging the natural world. She is inspired to record, interpret and celebrate nature. 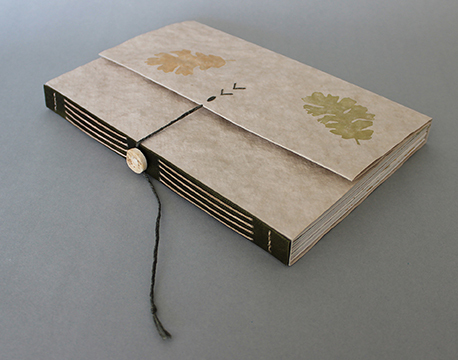 Rebecca’s books are in prominent special and private collections throughout the U.S. and has been exhibited widely. 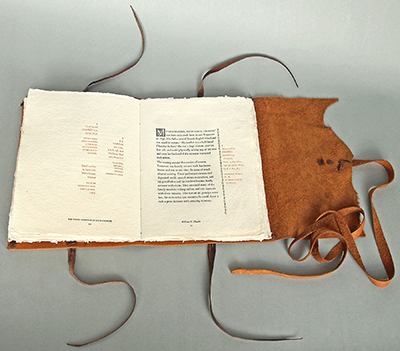 Chamlee is an associate professor at Otis College of Art and Design in Los Angeles where she has been teaching letterpress printing, bookbinding and artist’s book classes since 2002. The Young Manhood of Dave Chamlee, 2012, is a coming-of-age story told by the book artist’s late father, about his grandfather that recounts the young man’s journey west in the 1860s from the family homestead in eastern Tennessee and his years as a working cowboy in Texas. 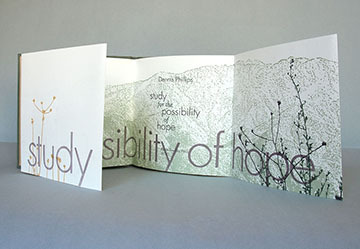 Poet Dennis Phillips, in Study for the Possibility of Hope, 2010, embarks on a speculative and finally optimistic version of the pastoral, examining our place in the natural world. 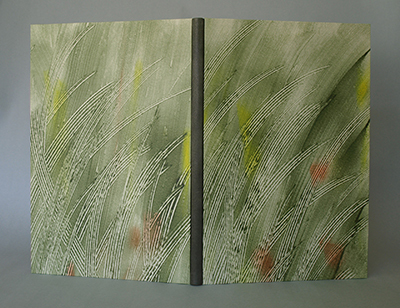 The images of native California plants and the San Gabriel Mountains on the cover and three gatefold spreads connect to the view where the poems were conceived. 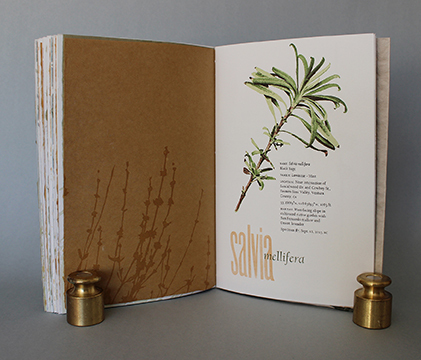 Where Stucco meets Chaparral, 2014, is a printed herbarium of local California native plants with stories of local and natural history and personal observation gathered during many years of daily walks. 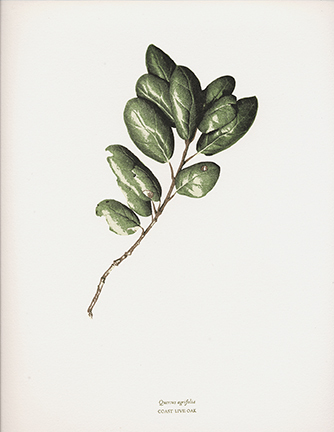 My Partial Tongue, 2011, by poet Martha Ronk, uses words and phrases from an essay on gardens and plants by Sir Thomas Brown, a 17th century essayist who wrote about the order in nature. Two letterpress prints from the series The Trees of Corriganville Regional Park, 2014, of Fremont’s cottonwood and California Coast Live oak, which recently won Best In Show at the Hamilton Wood Type Museum’s New Impressions in America Letterpress exhibit.